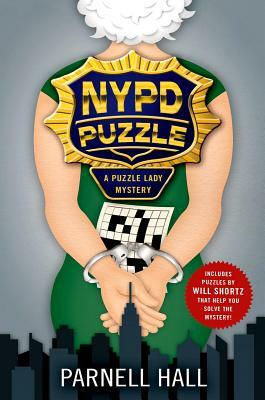 When young attorney Becky Balwin hires Cora Felton to accompany her to New York City to meet a new client in his penthouse apartment, the Puzzle Lady jumps at the chance. Cora is just coming off a bad breakup, and finding out that Chief Harper testified at a parole hearing for a killer she helped put away has her feeling old. But when she and Becky arrive at the apartment, they find the man is dead. There's a puzzle on his chest, and a prowler is searching the bedroom. Cora pulls her gun and gets off　a shot as the intruder ducks out the window. The NYPD now think Cora is the murderer. Getting her off should be a breeze for Becky, but when the fatal bullet is too badly damaged to identify, Cora is lucky to get out on bail. Meanwhile, a diabolical killer is leaving puzzle clues. If only they were just sudoku puzzles -- Cora can't solve the crosswords without the help of her niece, Sherry, who's back in Bakerhaven taking care of her toddler. In order to clear her name, Cora must match wits with a gruff NYPD homicide sergeant who is　quite attractive, except for the fact that he suspects her of murder. NYPD Puzzle is a clever mystery, boasting madcap hijinks as well as fun puzzles. Mystery readers will thoroughly enjoy this latest from acclaimed author Parnell Hall.